Zack Rosenquest delivers a thought provoking show, every week. With the intent to highlight traits that will help you get the most out of yourself. He does this by breaking down whats going on in the world around him, giving an objective perspective, and awarding you with some comedic relief now and then. The Rosencast also brings on guests that are attacking their dreams head on to give you a little peak at what is going on inside their heads. 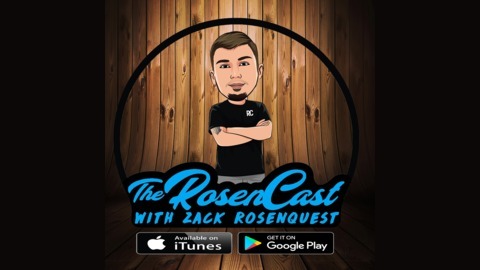 http://rosencast.libsyn.com @zackrosenquest. This weeks episode features the powerful Veejay Lach. 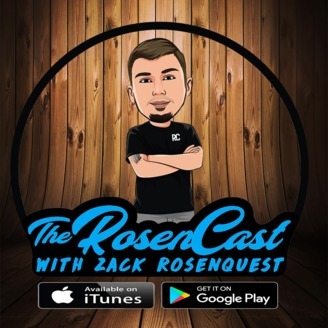 Veejay joins Zack Rosenquest at the Rosen1Studios to talk about momentum and how powerful it can be. It is very easy for momentum to carry you into the pits of negativity or be incredibly positive. Sometimes it hard to remove yourself from that rut. Well this episode talks about way to get out of the rut and stay motivated and run with your momentum. Thank you for your support! Please keep sharing the show, and if you liked this episode leave a 5 star review!